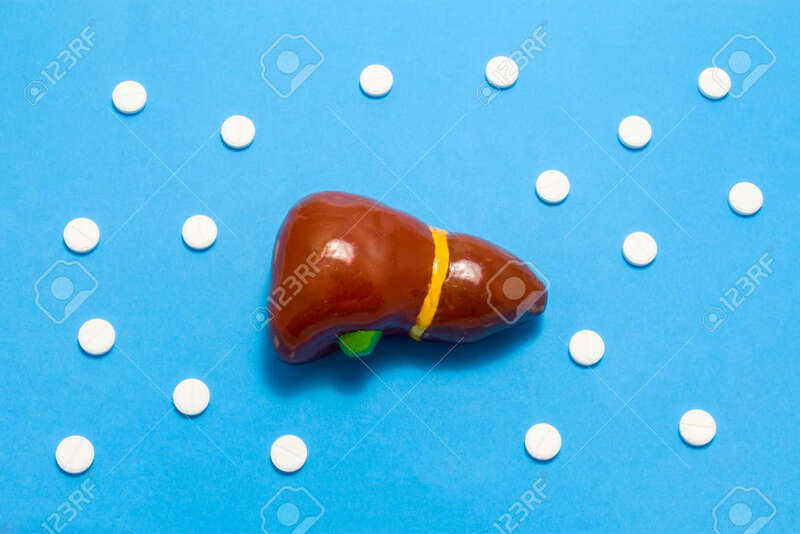 3D Anatomical Model Of Liver Is On Blue Background Surrounded By White Pills As Ornament Polka Dots. Medical Concept By Pharmacological Tableted Treating Of Liver Disease, Pharmacotherapy Chemotherapy Royalty Free Stok Fotoğraf, Resimler, Görseller Ve Stok Fotoğrafçılık. Image 118411138.